Walker Cup hopeful Jack Hume will defend his Radisson Blu sponsored West of Ireland Amateur Open Championship at Co Sligo in three weeks' time. But he will not have to face Irish team mates Gavin Moynihan or Gary Hurley, who will join in him and Irish Close champion John Ross Galbraith for two events in Argentina from March 19. The quartet do not get back to Ireland until shortly before the start of the West but while the GUI was granted four exemptions for the internationals only two were needed. Moynihan has decided to rest after a busy start to the season while Hurley will play the R&A Foundation's Scholars Tournament, leaving Galbraith to take up a bye straight into the matchplay alongside defending champion Hume. The Naas ace captured his first major title at the 'West' 12 months ago when he beat former Irish Amateur champion Robbie Cannon on the 18th in the decider. Keen to make an impression early in the season with the Walker Cup on the horizon, Hume said: "It was nice to get my first major championship win. Hopefully I can go back and defend it this year." Now playing off plus four, his chances of emulating Rory McIlroy's back-to-back wins in 2005 and 2006 have been boosted by the fact that he has been given a bye through to the match play stages. Irish Close champion Galbraith will also bypass the stroke play qualifier. As both players are competing in Argentina the week before the West at the Southern Cross Invitational. 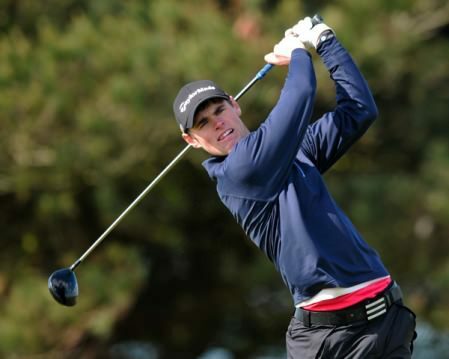 Hume is one of five Irish players in the Great Britain and Ireland Walker Cup squad. Currently ranked 32nd in the world, the 21-year-old is facing into the biggest season of his career. "It's (Walker Cup) a while off yet but it's definitely a team that I want to be on. I'm sure it'll come down to form when the picks are being made," Hume said. Meanwhile he will return to Rosses Point with a pep in his step. "I'm just looking forward to getting back there really," he said. "I've always liked the course. It's a nice place as long as the weather doesn't get too bad. There's a lot of nice holes. It's well designed. All the members are very nice, they love their golf. It's a good place to be." Defending his title will bring some added pressure but Hume won't be doing anything different. "I'll approach it like I did last year. It's a match play tournament so you need to be ready for every round," he said. Local favourites Gary McDermott, who now plays out of Carton House, is the leading Sligo player in the field. Hopes of a first home win since Cecil Ewing in 1950 will largely rest on McDermott's shoulders although Barry Anderson (Royal Dublin), Steffan O'Hara, Sean Flanagan, Declan Reidy and David Brady will also fly the flag for Sligo. Last year's beaten finalist, Robbie Cannon, is also entered while there are seven places available in the pre-qualifier, which takes place the Wednesday (1 April) beforehand. This year's cut fell at 0.2 for the Championship proper, with the qualifier cut mark at 3.0. The first round gets underway on Good Friday (3 April) and to mark the 30th anniversary of his victory, Jimmy Feeney will once more bestride the famous links. "It just came up and I thought I could go this year so I'll try but I didn't want to just make up the numbers. If I can get into the match play that would be great," said Feeney, who clinched a remarkable win on his debut in 1985. * Exemptions nominated by the Connacht Provincial Council in accordance with Tournament Condition No. 12.d. NOTES: Withdrawal – Any Competitor who finds that he is unable to play in the Championship, please notify the Connacht Branch Office immediately on +353 (0)94-9028141 or by Email to guicb@eircom.net; or 086-6016553 if in the last 24 hrs before event. 17:45 — Balbriggan's Robbie Cannon, Mourne's Reeve Whitson, Naas' Jack Hume and West Waterford's Gary Hurley are through to tomorrow's semi-finals of the Radisson Blu sponsored West of Ireland Championship at Rosses Point. Fog delayed teenager David Brady’s Radisson Blue sponsored West of Ireland Championship debut by two and a half hours but the County Sligo lad could probably have burned it off himself so hot was his game as he shaved a shot off the course record, reeling off nine birdies in a seven under 64 on the famous Rosses Point links. Mourne's Reeve Whitson has unfinished business in Sligo after adding a superb 65 to his opening 69 to top the qualifiers in the Radisson Blu-sponsored West of Ireland Amateur Open Championship at Rosses Point. Plus five handicapper Richard O’Donovan from Lucan is the low man in the West of Ireland field. Picture by Pat CashmanHarry Diamond faces the high quality field and some serious opposition from international team mates Richard O’Donovan, Dermot McElroy and Reeve Whitson when he begins his defence of the Radisson Blu sponsored West of Ireland Championship at County Sligo on March 29. Desert trek over for Irish Open title sponsorship?